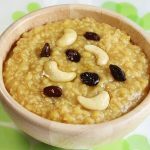 Millet sweet pongal recipe, Sharing a tasty foxtail millet recipe for pongal festival.. Millets were widely used in the Indian cuisine from ancient days, but was almost forgotten by the current generation for years. With the recent market trends raving about their health benefits, these are getting popular again. Foxtail millet is known as korralu in telugu, navane in kannada and thinai in tamil. 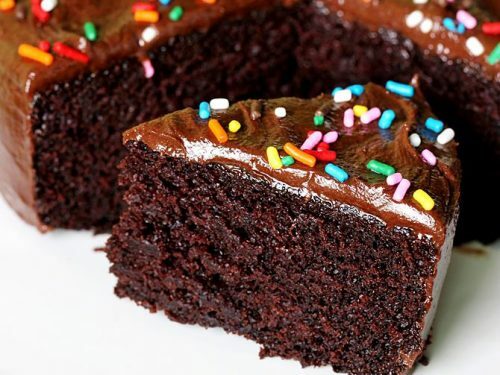 These are low in carbohydrates and low in glycemic index too, a factor used to measure the rise of sugar levels after consumption of a food. Hence they are suitable to diabetics. They are also high in fiber and rich minerals making them a healthy grain. 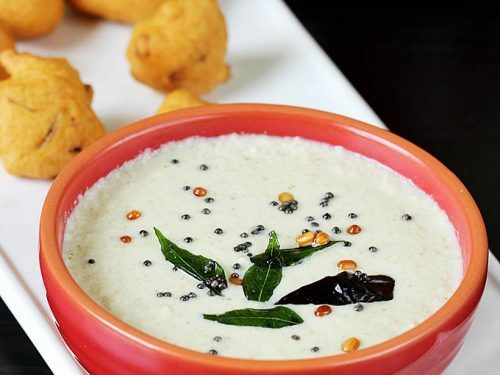 Millet is different from hulled millet, meaning millets are with their husk and hulled millets are with the husk removed which is apt for consumption. millets will not be cooked even after soaking them overnight, it is the hulled millets which needs a minimum soaking time. The hulled foxtail millet are called as korra biyam in telugu, thinai arisi in tamil, navanakki in kannada. 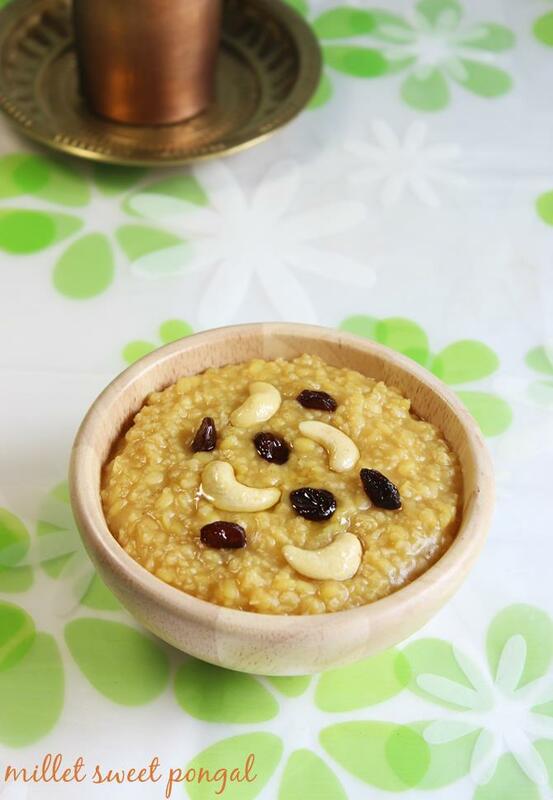 To make this millet sweet pongal recipe, I have used equal quantities of dal and korra biyyam / thinai arisi. 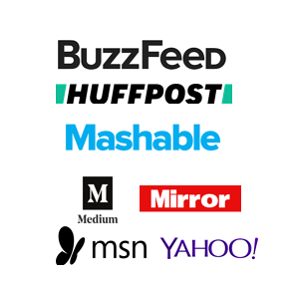 You can adjust to suit your taste. To me these proportions taste the best. To reap the full benefits of millets, they should be cooked al dente and not mushy. So that it takes a while for the body to digest the outer skin first and then reach the starch in the kernels, which is actually the carbs. 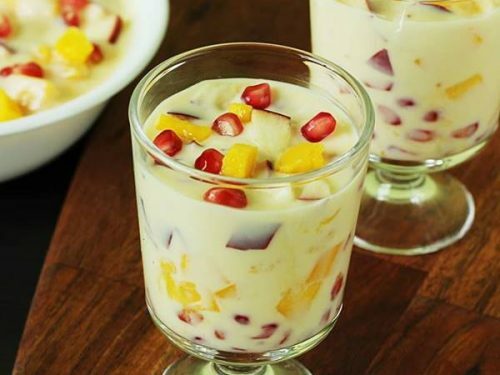 This helps to maintain a steady sugar level in the body with out spikes. 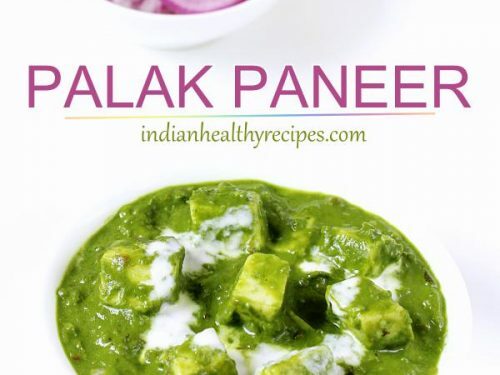 I have given two methods to make this pongal both cook the millet aldente, the right way to cook millet to reap the full benefits. 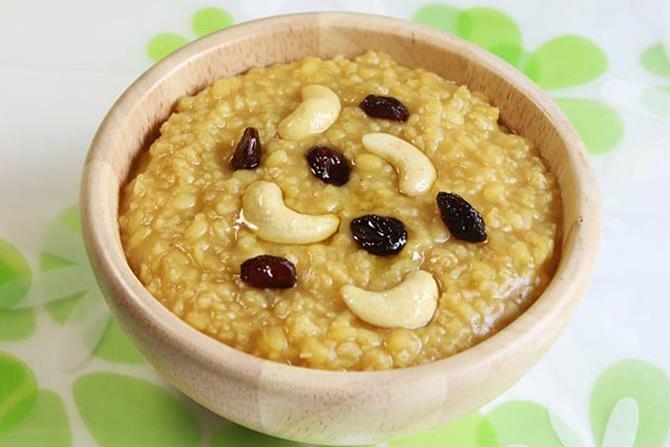 The first method yields a pongal that cooks dal mushy and al dente the millet. The second method, cooks both dal and millet both al dente. Choose whichever you prefer. 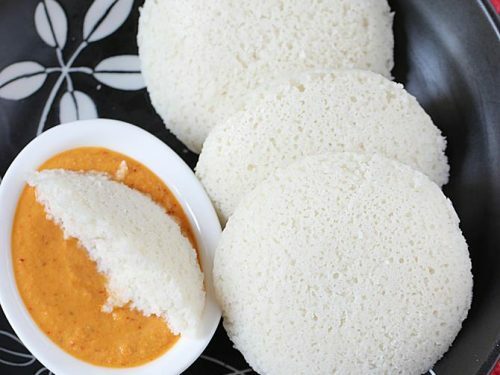 Wash dal and millets separately several times. Soak millets in warm water and set aside till the dal is cooked.Some variety of millets need at least 2 hours of soaking. Add washed dal and cook till mushy. Add millets and cook till they are fully cooked but al dente. 1. 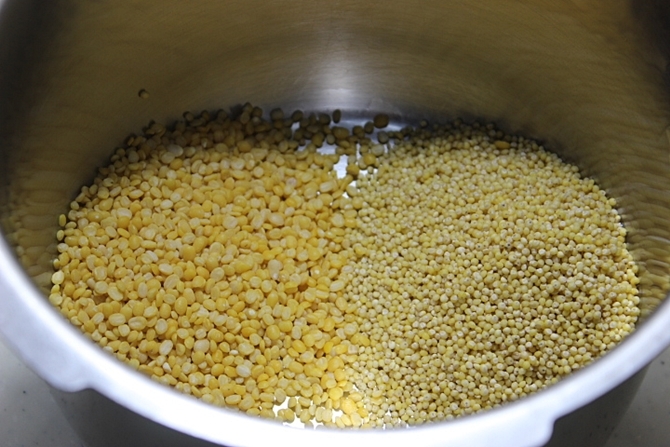 Wash 3/4 cup of dal and hulled millets measured together, in lot of water and soak for 10 to 15 minutes in warm water. Some variety of hulled millets need at least 2 hours of soaking. Add 1 1/2 to 2 1/2 cups water and cook till the dal and millet is cooked al dente, just cooked. Add Grated jaggery and cardamom powder. 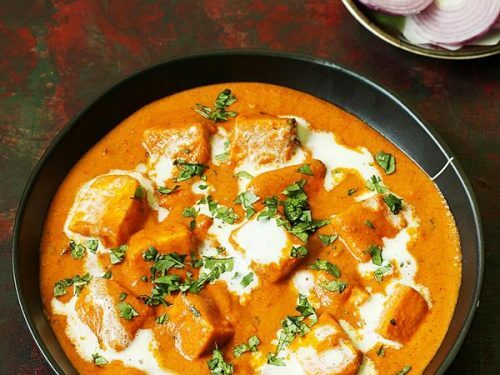 cook for about 3 to 5 minutes till the jaggery blends well with the dal and millets. 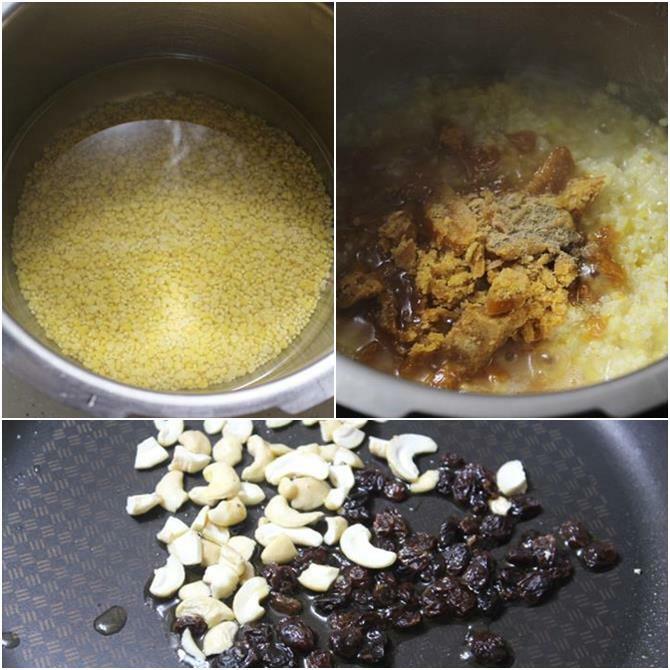 Fry nuts and raisins in ghee and add to the pongal. Please send me the hindi or english names for: korra biyyam / thinai arisi. .